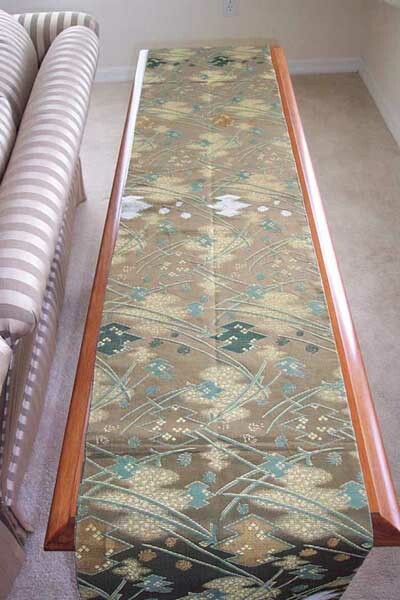 The antique brocade wedding obi is woven in antique gold, burnished gold, green and yellow gold. 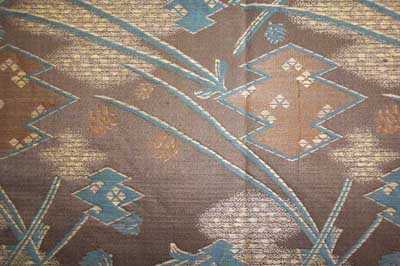 This motif is composed of pine, grasses and a shape called triple diamond. The angular shapes of the pattern are off set by the sweeping arcs of the grasses. It is a beautiful complex weave. 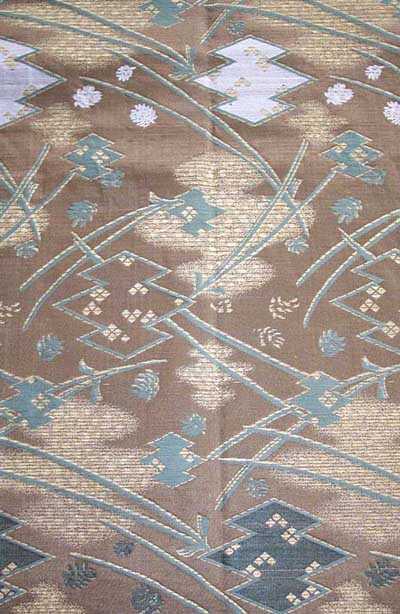 This obi would have been treasured by a Japanese family and handed from one generation to the next. The fold line down the center of the garment is visible. It would not show if the garment were worn. 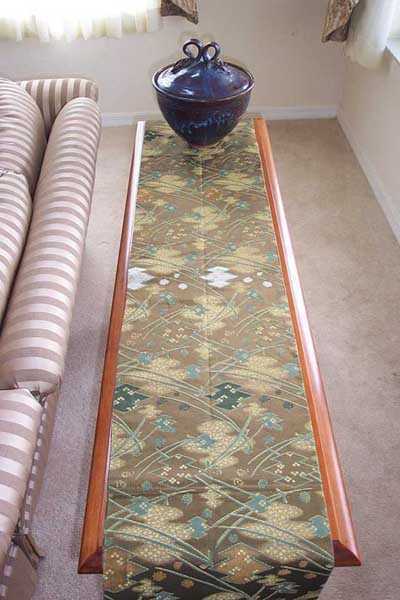 Other than that the obi is in good condition .